Pleat & Perry Support Team | Pleat & Perry, P.A. Born and raised in Crestview, Florida, Ms. Toolan is a graduate of Crestview High School and attended college in Dallas, Texas. She started working in the legal field in 1982 and started with the firm in 1996. In 2001, she left the firm to explore other ventures and returned to the firm in September, 2010. You can reach her in the Destin office at theresa@pleatperry.com. Born and raised in Mississippi, Sharlene attended the University of Mississippi where she earned a B.A. Sharlene began with the firm in June 2010. You can reach her in the Destin office at sharlene@pleatperry.com. Rosemary Beach Property Owners Assoc. Inc. The Palms of Destin Resort and Conference Center Condominium Association, Inc.
Our Firm has many experienced trial lawyers led by David B. Pleat who has 28 years experience trying cases in State and Federal courts. Our firm is supported by experienced paralegals and assistants and handles general civil litigation, personal injury, real estate, insurance, domestic, commercial and criminal litigation. If you find yourself in need of legal counsel in Court, call our firm and set up an appointment. Our firm offers complete real estate transaction closing services. We have one of the most experienced closers serving as closing agents --- Jenny MacDonald (Destin office). All closings are overseen by our experienced attorneys. We close residential & commercial closings. We are experienced in real estate contract review, document preparation, short sale closings and resolving title related issues. We also serve as escrow agent for real estate related transactions. Call (850) 650-0698 for your closing quote or questions. Pleat & Perry has many years of experience representing Association Boards and individual homeowners with Association related legal matters. Our representation includes litigation, insurance issues, hurricane damage claims, claims of lien, legal opinions and foreclosure defense. We are members of the Community Associations Institute and travel to and attend board meetings when requested. We also have provided advice to a multitude of condominium and homeowners over the years providing legal counsel regarding issues and concerns with Associations. Partner Amy A. Perry, Esq. Partner Amy A. Perry, Esq. is a Florida Supreme Court Certified Mediator and a Certified Arbitrator. She handles general civil litigation, mediations and civil matters requiring arbitration. Ms. Perry also routinely provides counsel to numerous businesses and individuals in the areas of real estate and association law. 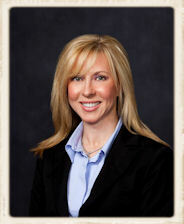 She has many years of experience in civil litigation and appeals. Ms. Perry is available to mediate in our Destin office. Our Firm's personal injury litigation department is lead by Senior Partner, David B. Pleat. Mr. Pleat has 26 years experience litigating injury claims for Plaintiffs and Defendants. Along with representing the interests of injured persons, Mr. Pleat and his team have been hired by various insurance companies to represent defendants in injury claims. Our Firm represents injured individuals and families who have suffered the wrongful death of a loved one. We handle personal injury claims on a contingency basis. If there is no recovery, there is no fee to pay. Call for a free consultation to determine if you need an experienced personal injury lawyer team to represent your interests. Our Firm provides representation to clients with a wide variety of real estate needs. Contracts, closings, development from purchase of land through construction, representation through the local government approval/permitting process, litigation, document preparation for homeowner communities, and dealing with appropriate State of Florida agencies. We represent clients with casualty loss claims, hurricane or catastrophic loss claims, first party and third party insurance claims/litigation, bad faith litigation along with a history of providing counsel to various insurance companies defending claims. Our Firm represents numerous businesses, banks, corporations, partnerships, sole proprietorships and limited liability companies in areas of initial business formation, general counsel, business/commercial litigation and advice to Boards. We recognize that providing sound counsel that incorporates strategy for business success while understanding the need to keep legal expenses as ecumenical as possible for the business. The information you obtain at this site is not, nor is it intended to be, legal advice. The hiring of a lawyer is an important decision that should not be based solely upon advertisements. Before you decide, ask us to send you free written information about our qualifications and experience. Copyright © 2018 by Pleat & Perry, P.A. All rights reserved. You may reproduce materials available at this site for your own personal use and for non-commercial distribution. All copies must include this copyright statement. Site Design/SEO: Anderson Solutions, Inc.